The objective of keeping together those players with aspirations to play representative cricket by providing them with competitive County Cricket was definitely achieved in this series of games but the void created by the loss of both the 19 and 21s was not completely filled. The support of the players selected and the leadership of David Manning and Will Murray was exceptional. Our first fixture was at Sandford, the 2003 and 2004 Premier League Champion’s ground. The game was a result of a request from the home side’s Chairman Derrick Phillips who was celebrating thirty years in office. When a fixture was arranged for a Bank Holiday Monday the alarm bells should have rung and the rain duly arrived five minutes after midday after 11 and a half overs had been bowled. Unfortunately Derrick had been rushed into hospital the previous Friday but was given an exeat for two hours to join the sides for an excellent lunch. The home side had been decimated by calls to the full County side at Bovey Tracey but were still able to put out a more than reasonable squad. Their skipper Matt Theedom tossed and David Manning used his customary luck to call correctly and batted under grey skies. The Barton pairing of Nick Watkin and Will Grainger opened against Matt and Andy Theedom and put on 46 before Grainger nicked one off Andy to Neil Davey at slip for a 40 ball 21. At this point umpires Matten and Govier decided to take the sides in for an early lunch and, as it transpired conclusion, as the rain did not stop. Sadly Derrick Phillips died before his club completed their second successive championship. Having carefully ensured that our one Sunday fixture, against Dorset, did not clash with the County Senior Cup competition, the best laid plans were scuppered when the County Club asked for the Cup date to be changed to avoid their game against Suffolk! With rain in the air Will Murray lost the toss and Devon batted. After 24 minutes Sandford's Richard Tucker was caught at slip by the Dorset captain Ben Lawes off his fellow full county player - opening bowler James Elliott-Square. Budleigh’s keeper Andrew Codling followed three balls later as Elliott-Square bowled him. At 11.36 rain brought the players off for a 15 minute break and on the resumption James Toms was bowled by Green. Devon was not well placed at 17-3 off nine overs but two under 17 squad members - Josh Bess and Tim Piper put on 31 before Bess failed to make his ground for a 55 ball 17. Piper and Gary Larcombe took the score to 68 when Piper angled leg spinner Summerson into the keeper’s gloves for 28. The skipper Will Murray and Larcombe then featured in Devon’s best partnership of the day, putting on 38 to take their side past a hundred. After 35 balls Murray was caught for a joint top score of 28. One run later Damian Price was stumped off the leggy - 107-7. Chris Jenn, having travelled over a hundred miles decided to make the trip worthwhile dug in with the resolute Larcombe to put on a further 16. After 96 minutes out in the middle, the Axminster all rounder was caught off the returning Elliott-Square for a vital 27. Ross Acton batted sensibly putting on 20 with Jenn scoring 15. Debutant Scott Barlow faced the last five balls of the innings without scoring being undefeated as Devon’s final product was well below par at 144-9 off 50 overs. Damian Price struck early to leave Dorset 18-2 as he had Jess caught behind by Codling and Silzer snapped up at second slip by Tucker. Dorset put on 92 for the third wicket to end the anticipation of a possible surprise when Murray then chipped in with two wickets, first having Booth trapped leg before for 63 then getting Lawes to edge him to James Toms at slip. Tweedle remained undefeated on 24 and Elliott-Square brought out the long handle. However Larcombe would be satisfied with his figures of 4.3-4-4-0 the one scoring shot coming off his last delivery and Dorset were comfortably home by 6 wickets in 33.3 overs. Our next game against the Cornish was at Tavistock. The rain that had been threatening all day had the final say in Cornwall’s forty-first over when the visitors were still just behind the required run rate enabling Devon to come out victors by just 0.27 of a run. On arrival in bright sunshine the Ring looked in pristine condition as the Devon skipper, David Manning, completed the final touches to his ground by mowing the outfield. He had been at it since 8.00 a.m. – a most conscientious captain! The threat of rain later in the day was the only blot on the landscape. Cornwall won the toss and inserted the hosts. The Barton pair of Aaron Williams and Nick Watkin put on 74 in 22.4 overs when Williams became the first of Shorten’s five victims when he was caught behind for a 69 ball 43. His Barton colleague, Will Grainger, went two balls later for a duck and this was Nat Price’s score when he was also bowled by Shorten in his next over. 82-3 became 94-4 as the skipper was caught by Barber off Shorten for two fours. James Toms broke the spell as he fell to the visitor’s captain Pearce caught behind by former Hampshire youth player Turner who was to prove to be a thorn in the side in both the games against our local rivals. The situation was now dire 110-5 after 31.4 but got worse, as the anchor Nick Watkin became Shorten’s fifth and final victim for a 104 ball 40. Some sensible batting by Adam Parker (14), Gary Larcombe (25) and Will Murray (13) took the score up to 176 with seven balls unused as Jack Porter was the last batsmen out, stumped by Turner to become Pearce’s third wicket. A run rate of 3.61 was hardly scintillating. However it was just enough. Paignton’s England international Stephen George took a wicket in his first over when Horwell was caught behind by Manning. However the next wicket to fall was 108 runs later in the thirty-fifth over when Cornwall’s new recruit, left hander Turner, mishit Parker’s first delivery into the safe hands of Will Grainger. Devon stuck to their task with the promoted Harrison, sent in to lift the run rate, leg before to Nat Price off the last ball of his seventh over and then Cornwall’s opener Ben Smeeth was run out by a brilliant direct hit from Will Murray for a patient 112 ball 68. Price’s last ball of his eighth over bowled Jarman and Cornwall were 8 runs behind the required rate when, at 5.42 p.m., the umpires called the players off for the second time not to return again. The Devon bowlers were outstanding in difficult conditions. Our return fixture with Cornwall was a case of so close and yet so far. The Devon Development squad left Truro knowing that, if one more catch had been taken, they would have left having completed the double over their local rivals. As it was they lost on the penultimate ball by two wickets. The day started badly as, after winning the toss, the Barton trio were all back in the pavilion after 8 overs for 16 runs. Dunstan, the destroyer, enticing both Grainger and Williams to drive to cover in identical fashion. James Toms and Nat Price then tried to relive their 2001 partnership at Callington. They put on 40 sadly 84 short of their record sixth wicket partnership at 17s! Price then became Dunstan's fourth victim bowled and 13 runs later Toms followed, bowled by left armer Ivamy who had been celebrating his 21st birthday the previous night. Manning then took charge. Many of his colleagues had not seen him at close hand before as he has loyally stayed with Tavistock in the A & B divisions. He quickly showed that in all ways he is a premier cricketer and put on 72 with another A division stalwart Gary Larcombe. Manning passed his fifty in 73 balls and then was brilliantly caught and bowled by Tunnadine. Larcombe was bowled by Richards for a vital 29, and the innings finished with the skipper, Will Murray, and Adam Parker putting on a very important 34 in five overs. After the poor start 187 was a reasonable return but maybe 20 short. Coincidently the Cornish openers put on 20 when Manning caught Parsons off Price. Larcombe then removed the other opener, Jarman, by bowling him. Bray-Smith became Larcombe's second victim, caught by Will Murray. Seventy-eight were put on by the infuriating Turner and Tunnadine and the game was being taken away from the visitors, when George struck with two in two as he had the home side captain caught by Murray then uprooted Barber’s stumps. Vitally for the home side the left hander Turner was still at the crease, having already shown his potential at Tavistock, and the former Hampshire colt was dictating the play. Wickets were needed at the other end. Watkin was brought into the attack and had young Alex Smeeth caught by Larcombe. The off spinner then bowled Richards and Price bowled Ivamy. Cornwall was now 178-8 with 14 balls remaining and nine runs needed. Hooper of the long handle hit the ball high but annoyingly it fell between two fielders, game nearly over. Murray took the last over, seven needed, Hooper hits a four first ball, single next, two dot balls and Turner finishes 76 not out when he hits a no ball for four. An enjoyable game which, as always against these opponents, was very closely contested. The final development match of the season against the Devon League Overseas XI at least proved that a sun existed somewhere in 2004 and provided a fitting conclusion to an extremely wet summer. The Overseas eleven chose to bat and Nat Price promptly sent back South Devon's Max Sorenson fourth ball. Plympton's Rashaad Magiet joined Plymouth's Suman Dass and put on 38 before Dass was caught by Adam Parker off Stephen George. Magiet fresh from a Premier League ton looked to be in very good touch and with the overseas skipper, James McMahon, advanced the score to 103, putting on 65. Abbots’ McMahon was then well held by George on the deep square boundary, returning the compliment to Parker for 17. Ten were added for the fourth wicket and then enter Craig Miles. He had bowled very little in 2004 and his work with 118118 had restricted his appearances with us but he showed his true worth in then taking his second county hat trick in two seasons - this time all bowled! He first removed his club mate, the dangerous Magiet for a 75 ball 56, sent the home side’s Julian Stephenson on his way and then ruined Shobrooke's Ashley Sutherland’s day. Before Miles entry the captain, Will Murray, had bowled four maidens before Magiet had despatched him for 21 off two overs. At 113-6 the character of the game had changed dramatically and, despite an eighth wicket partnership between Kingskerswell's Karl Read and Brixham's Pat Steytler, it was Gary Larcombe who was in charge as he took 4-36 off 8.4 overs. He was assisted by good catches from Miles, Williams, Parker and Murray. Our summer visitors were 185 all out with 20 balls unused. Disconcertingly for the second successive match the top order folded with Tavistock's Craig Alexander's pace too much for Williams and Watkin who snicked catches behind and were well held by the keeper Jay Mangala from Clyst Hydon and the captain, McMahon, at first slip, who was assisted by his chest as the ball lodged safely after three rebounds. Steytler bowled Mills and Grainger and the side was somewhat precariously placed at 9-4. David Manning then came to the rescue, winning his personal battle with team mate Alexander and James Toms showed his true ability that had been concealed this year in Torquay's second team. He played some characteristic back foot pulls and cuts and slowly but slowly the pressure was relieved despite four maidens on the trot from spinners Rajapakse and Khandia. Manning was dropped in the slips and Toms at cover as the pair put on 113 match winning runs. Unfortunately it was obvious from the boundary that Toms was unnecessarily getting frustrated, and on 48, having played seven dot balls from Stephenson, he was bowled by the eighth, trying to work the ball through mid wicket. This, with Manning’s contribution, had been a splendid partnership that had set up a comfortable position with plenty of batting still to come. Only one more was needed in the shape of Garry Larcombe who proceeded to score at a run a ball for 41. Manning passed his second successive fifty and then watched his A division friend win the match, he himself being undefeated on 64. This was a second major innings from this loyal clubman, there are few more popular players in the league and he deservedly picked up the man of the match award under some pressure from Gary Larcombe. The Axminster all rounder had made yet another major contribution when during the course of these matches he came fully of age. 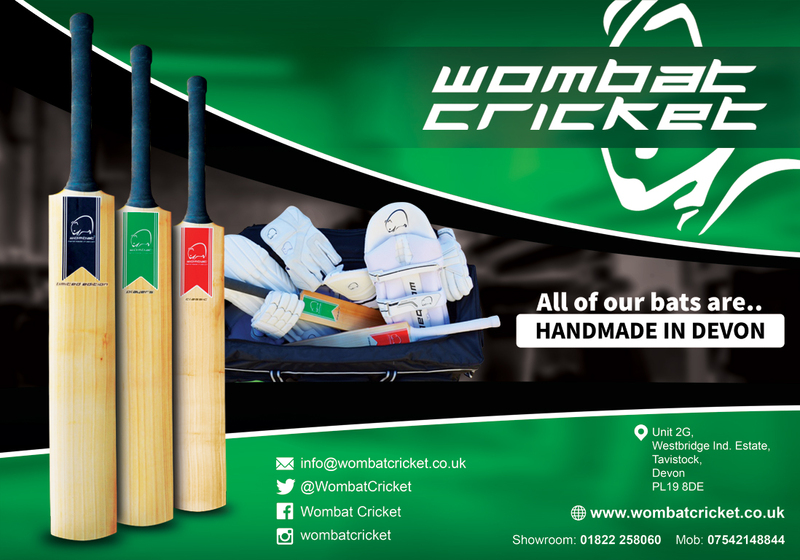 This venture has been a success due to the generosity of many and the Board would record their most sincere and genuine thanks to the late Derrick Phillips and Sandford C.C., the Dorset and Cornwall Cricket Boards, Tavistock C.C. 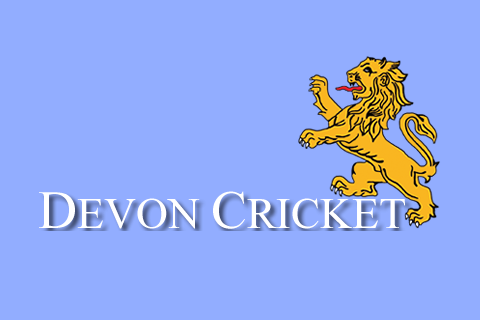 and finally to the Devon Cricket League and Bovey Tracey Cricket Club for an excellent programme of fixtures and outstanding catering. To the DCUS and Elizabeth Webb our final thanks for their contribution to a worthwhile programme.